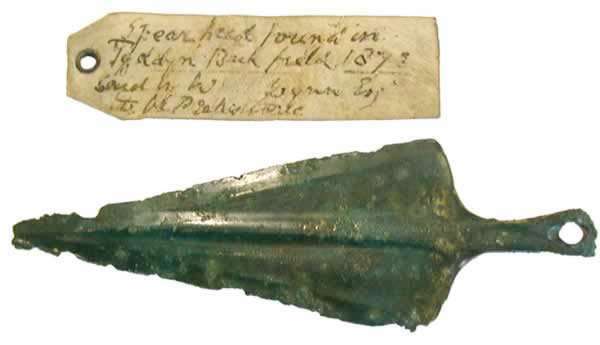 Early Bronze Age; tanged bronze spearhead, the triangular blade with flat central rib, short tang with single rivet hole, 1750 – 1450 B.C., 5.4375 in overall length. Formerly at Nannau and thence by descent. Found in a cist (? 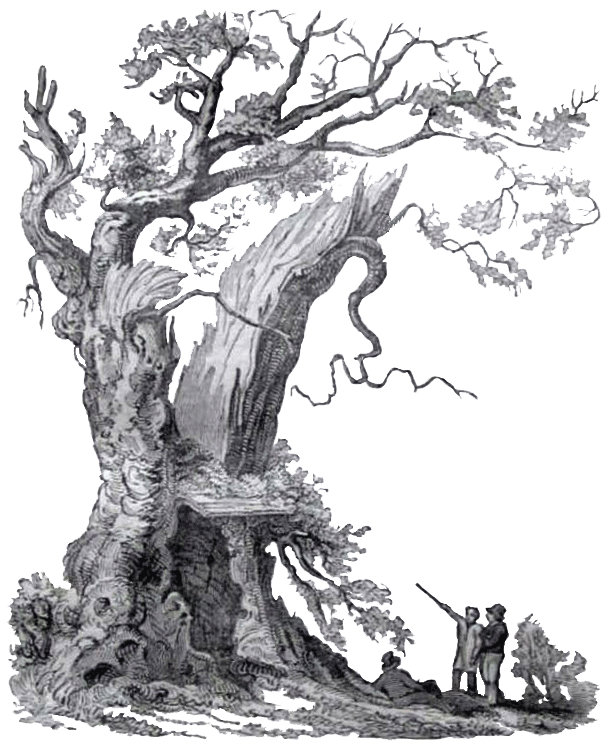 with human remains) underlying an upright monolith at the centre of a round mount at Tyddyn-bach, Llanfachreth, Merionethshire in 1873. National Museum of Wales, Guide Catalogue of the Bronze Age Collections, 1980, Fig 27, No. 336, taken from the electrotype copy of the spearhead in the National Collection. Sold for £480 in 2008. Scan and Information Courtesy of Robert Finan and Co. (Lot 142).